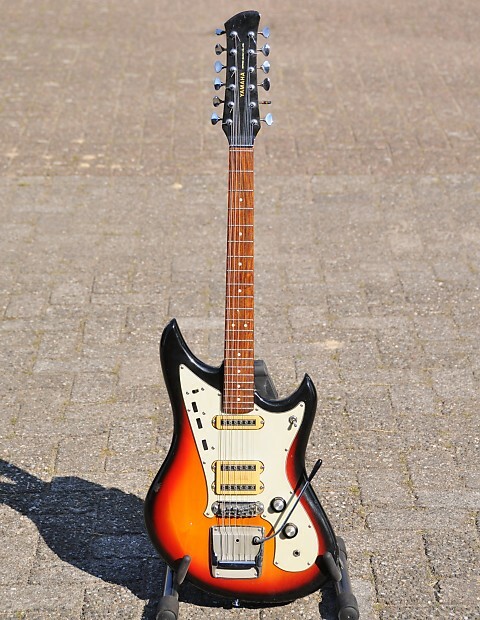 Yamaha SG-12 A 12-string electric with a trem! 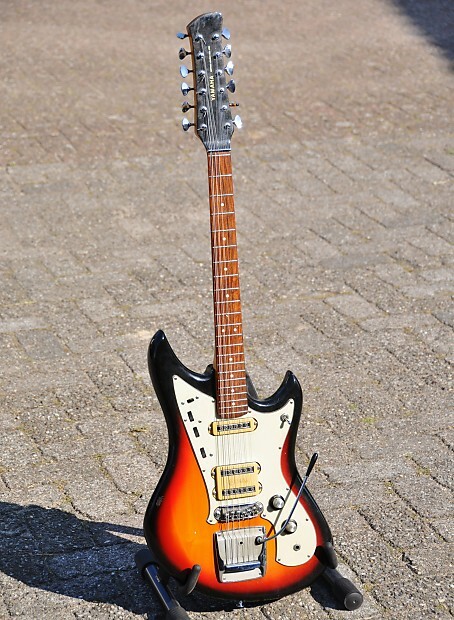 This is a 1966 Yamaha SG-12 - Made in Japan. 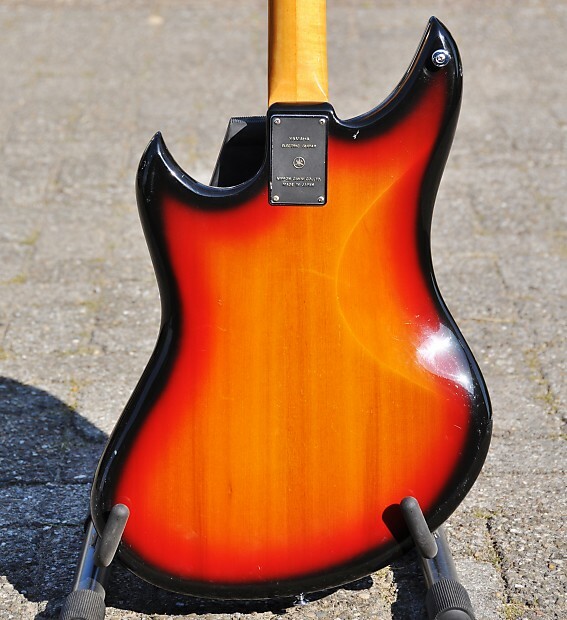 Very high quality compared to the US made instruments of the time. 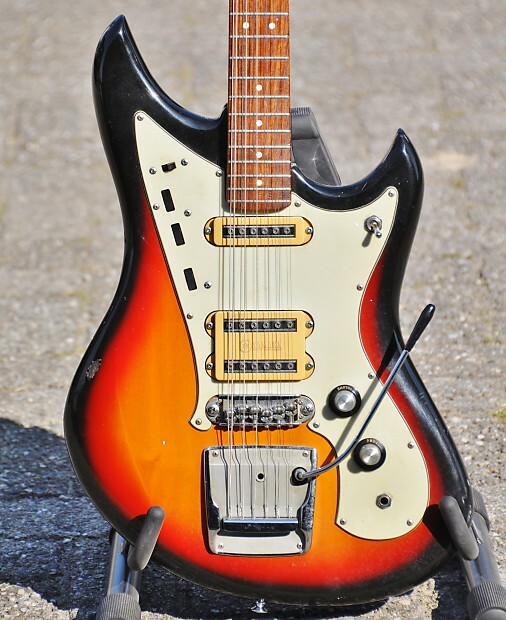 It's as nice but better build as a Fender Electric XII - for a fraction of the price. 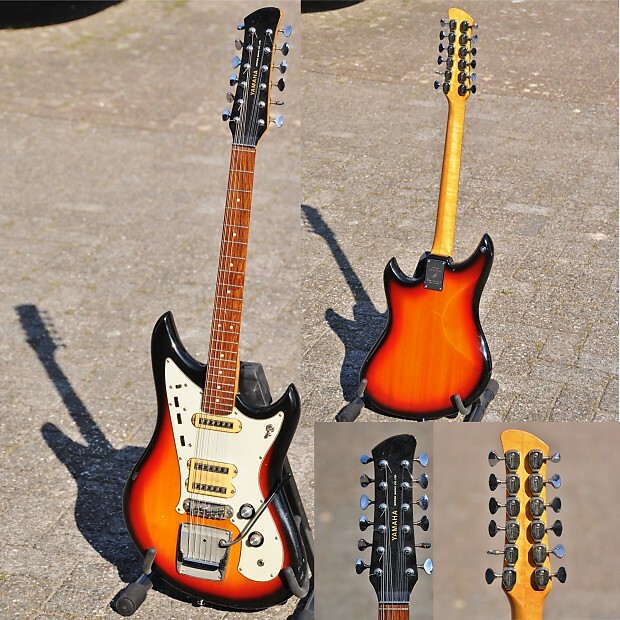 These guitars are very rare, Among the first of these models made. 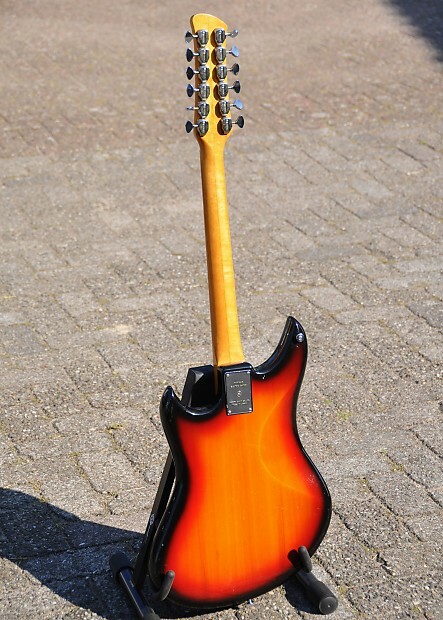 It is in very good condition - It comes with the original tremolo arm, and the original chrome string guide, two items that are usually lost. The original hard case is lost. 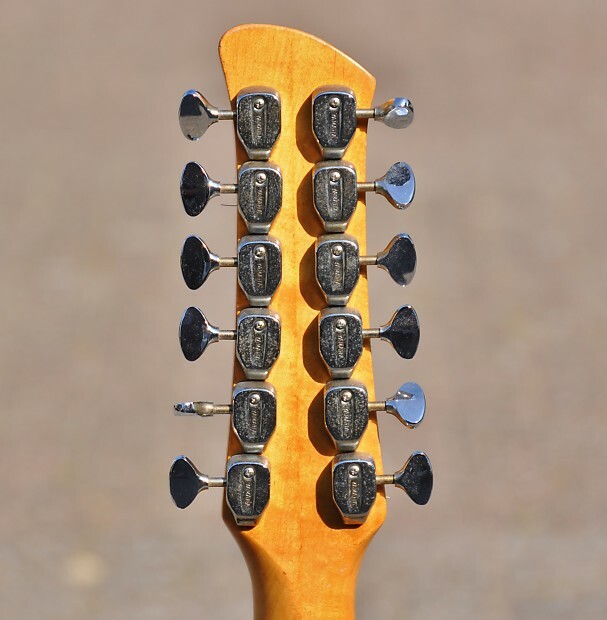 The neck is on the slimmer side, but is still easily playable. It has some honest playwear, but it is very neat used. 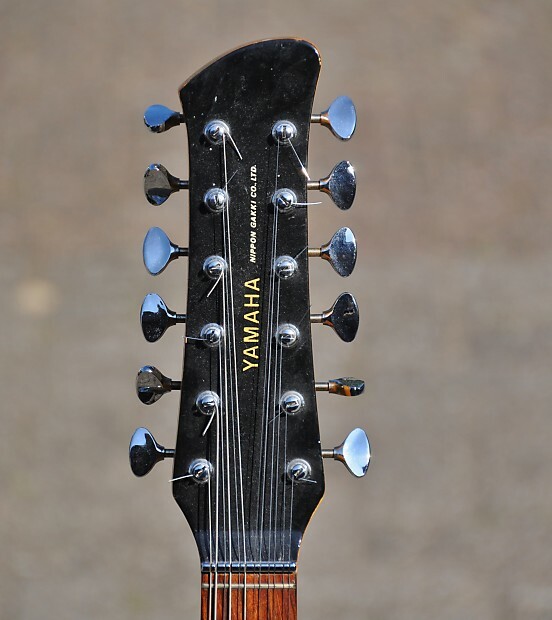 The frets are in good condition. 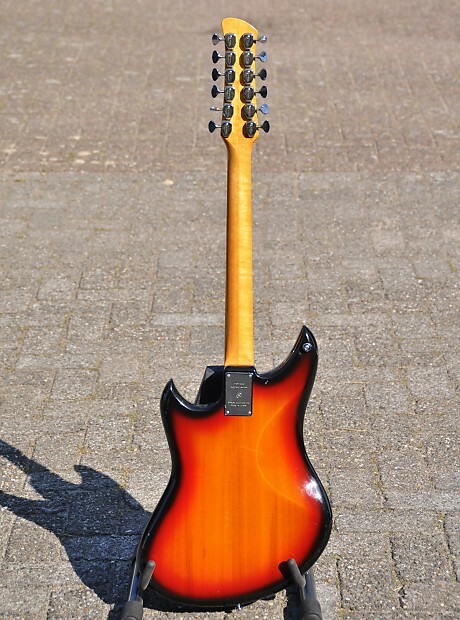 The neck has some nice flame figuring. It plays very well, and sounds great.